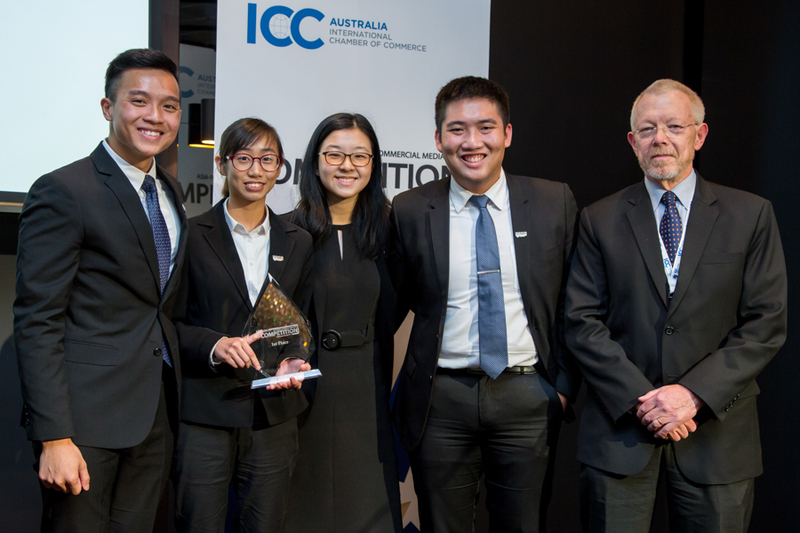 In July, ICC Australia held its biggest educational event with 14 university teams from the Asia Pacific region competing around the mediation table at the inaugural ICC Australia Asia Pacific Commercial Mediation Competition. Each team had put months and hundreds of hours into perfecting their problem-solving skills in cross-border commercial disputes. Through this competition, students learnt to effectively combine the use of mediation and collaborative problem-solving skills to successfully represent parties’ interests and progress towards a settlement. The 14 teams from Singapore, India, New Zealand and Australia competed over three rounds with each team improving over the course of the competition. During the competition participants applied ICC’s Amicable Dispute Resolution (ADR) Rules to settle commercial dispute scenarios that had been drafted by a group of international mediation experts. The ICC Mediation Rules provide an easy to use framework and a comprehensive body of rules for the conduct of mediation. As our global economy expands, transnational disputes become increasingly important and having a set of rules that cannot be seen as favouring any one culture or nation is important. Competing in the final on 9 July 2017 were the National University of Singapore and The University of Auckland. The final problem was a dispute titled The Space Race and involved whether a space ship should be launched, should passengers be allowed on it and who would fund it. The competition was fierce with the winning team being announced by his Honour, Justice Clyde Croft as the National University of Singapore. The team has won a place in the ICC International Commercial Mediation Competition held in Paris in February 2018. ICC Australia wishes to empower tomorrow’s business leaders and legal minds, equipping them with the skills to better meet the dispute resolution needs of international businesses in an increasingly cross-cultural and global marketplace. The competition was supported by the Victorian Government, The Melbourne Commercial Arbitration and Mediation Centre, Cornwall Stodart, the Resolution Institute, the Australian Government Attorney-General’s Department, ADR Centre, The Victorian Bar and 35 volunteer judges, mediators and session supervisors.